If you were hurt in a car accident in Miami Beach, then you will want to speak with the best Miami Beach car accident lawyer you can call. But do you know how to find the right attorney for you? Most importantly, do your homework. Avoid deciding based solely on advertising. Don’t go to the lawyer or clinic that some “helpful stranger” recommends because that person is probably breaking the law and trying to make money off of your pain. Lastly, go online and do your research. Once you have selected the lawyer you want to speak with, give them a call and then trust your instincts. If you are careful with your search, you will likely find the best car accident attorney for your Miami Beach accident. If you have been the victim of a car accident, you are invited to contact the Miami Beach auto accident lawyers at the Wolfson Law Firm at 305-285-1115 for a free consultation. Surrounded by the Atlantic Ocean and Biscayne Bay, the island stretch known as Miami Beach is famous for its warm and sunny weather. A popular tourist destination, the city of Miami Beach hosts over 3 million visitors each year. Along with its pristine beaches, it offers a mixture of culture and sophistication with many museums, art shows, and symphonies. Its historic Art Deco District has an array of hotels, apartments, and buildings that were heavily influenced by Mediterranean and Art Deco architectural designs. Miami Beach has over 90,000 residents. Its population if a mixture of families and retirees, with the age of the residents averaging 42 years old. According to the Florida Department of Highway Safety and Motor Vehicles, there were 63,157 traffic accidents in Miami-Dade County alone in 2017. With over 3 million tourists visiting Miami Beach each year, there is a greater chance for the residents of Miami Beach to be involved in a car accident. Driver who are negligent, distracted, or unfamiliar with the roads can create dangerous conditions for others on the road. 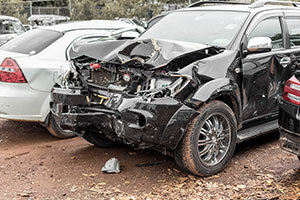 Victims of car accidents often suffer from injuries, lost wages, and damage to their vehicles. Why Should I Contact a Miami Beach Auto Accident Attorney? Victims should contact an auto accident attorney to ensure that they receive the compensation that they deserve. In order to keep their payouts low, insurance companies are often quick to settle. Many times, serious injuries require more than just immediate medical treatment. Long-term care or rehabilitation may be necessary. Victims may experience continued pain and suffering as they recover. Injured parties are often unable to return to work, resulting in lost wages. Even in minor car crashes, injuries may not be apparent for a few days. Car crashes that involve tourists may bring an additional level of complexity to your case. Drivers from other states or countries may carry different levels of auto insurance. In addition, tourists often rent cars or may use the services of Uber. Knowing the appropriate parties to pursue to recover damages can be challenging. As a victim of a car accident, it’s important that you know what your rights are and what compensation you are entitled to. The Miami Beach auto accident attorneys at the Wolfson Law Firm can help you navigate the complexities of recovering financially and emotionally from a crash. If you or someone that you love has been injured in an auto accident in Miami Beach, contact the Wolfson Law Firm for a free consultation at 305-285-1115. The Miami Beach automobile accident attorneys at the Wolfson Law Firm serve clients in Miami Beach and its surrounding neighborhoods, including South Beach, Miami Shores, Fisher Island, North Bay Village, and Surfside. If you or your loved one have been injured in a car accident, contact the Miami Beach automobile accident attorneys at 305-285-1115 for a free consultation. The attorneys at the Wolfson Law Firm can answer your questions and help to recover the compensation that you are entitled to.